Disclosure: I received tickets to the Wild Kratts show in exchange for promotion. As always, I only share things I love with my readers. I’m thrilled to let you know that the Kratts are going on tour this spring, with Canadian stops in Hamilton and Toronto. 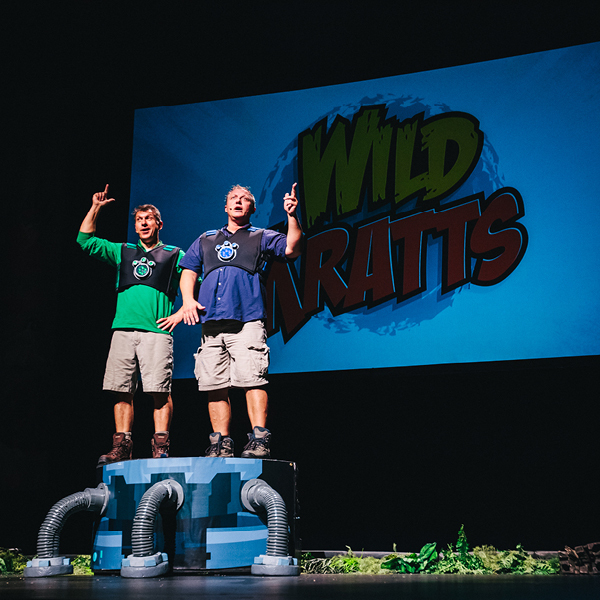 Whether you’re a long-time fan of the Kratt Brothers or haven’t heard of them before, you’re sure to love their live show! WILD KRATTS – LIVE! is a theatrical stage show based on the #1 animated television series, starring Martin and Chris Kratt, who step out live on stage to engage the audience in a classic Wild Kratts story. Experience the astounding “creature” fundamentals, and the infectious excitement and inspiring quest of the Kratt Brothers that make their hit television series so popular with kids and their families. Click HERE for tickets and use code WILD to get your tickets before the general public. I’ll be taking my kids to the show – hope to see you there!